Aimee and Andre are getting married in November this year. 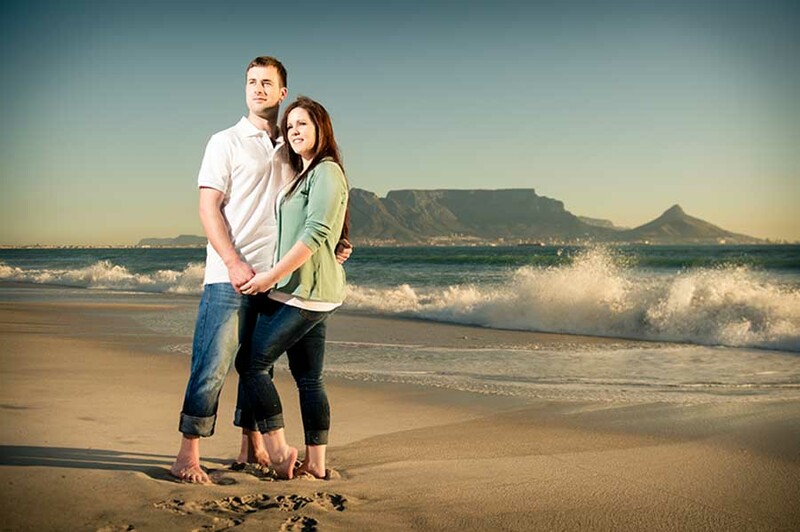 We did this beach engagement shoot at Blouberg for them to capture some love and emotions before their wedding day. Engagement photo session is such an awesome thing to do! The couple gets familiar with the camera and comfortable with the poses. Together we practice some of the poses we are going to do on the wedding day. We can discover what angles work for the couple and what kind of photos we are going to do when the big day arrives. But this wasn’t the only purpose of this beach engagement shoot. 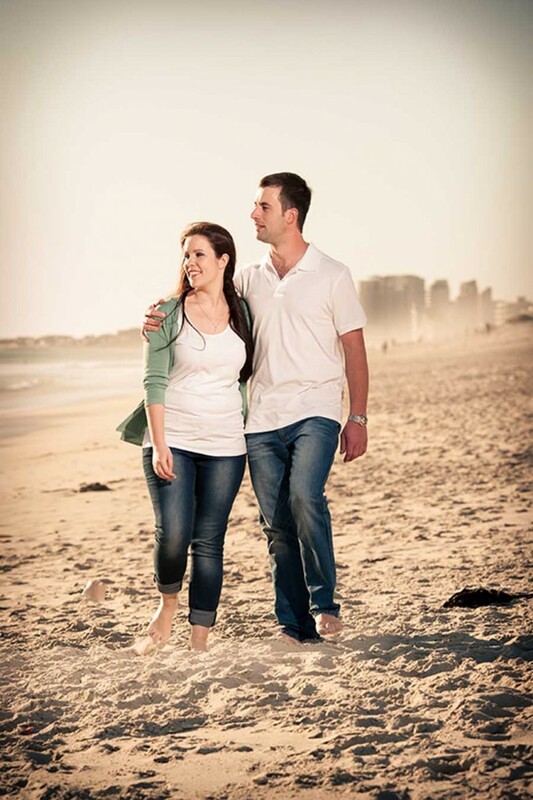 Our goal was to create set of romantic images in a more casual setting. This beach photo shoot proved it to be a necessity one more time! Aimee and Andre look so happy together! Our bride-to-be is a gorgeous young lady, with beautiful green eyes and hazelnut colour hair. This classic beauty looks good in camera from every possible angle. With smooth skin and lavish hair, she photographs incredibly well! I think the groom enjoyed this beach engagement shoot as well. We got Andre relaxed in front of the camera and prove that photo shoots can be fun for gents too! 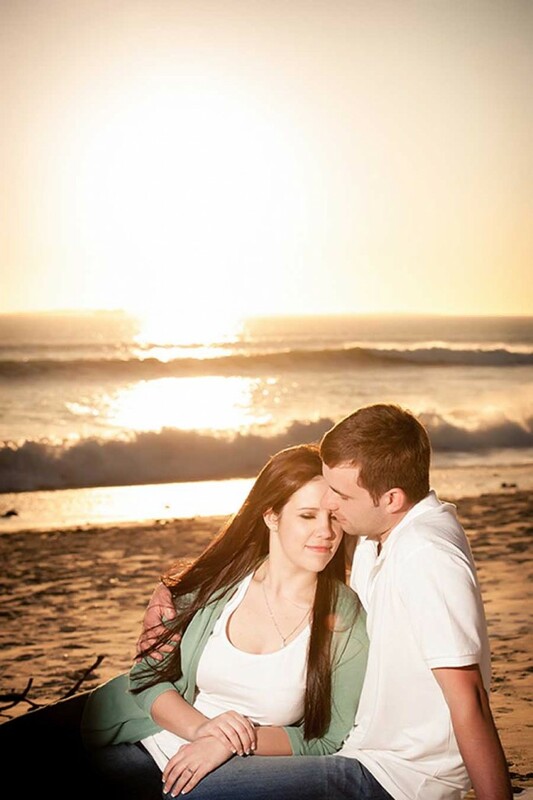 Towards the end of this beach engagement shoot Aimee and Andre were enjoying themselves and watching the sun go down over the Blouberg beach. The outcome of this shoot is a selection of images capturing the unique bond between the couple. 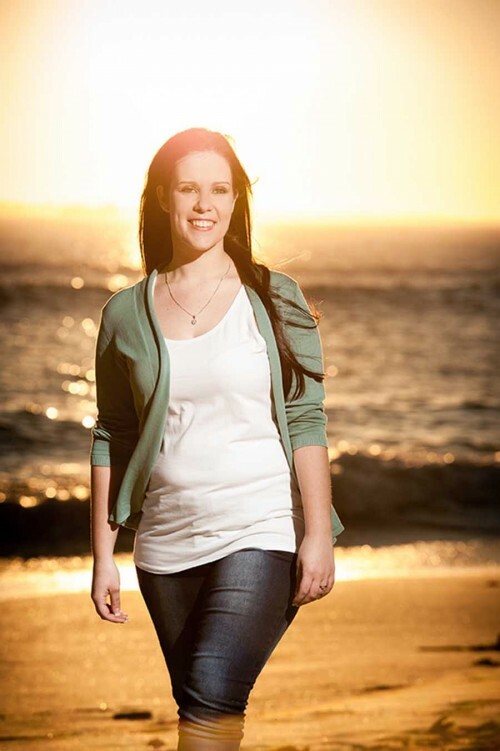 We can’t wait to do Aimee and Andre’s wedding photography at Beloftebos this November. 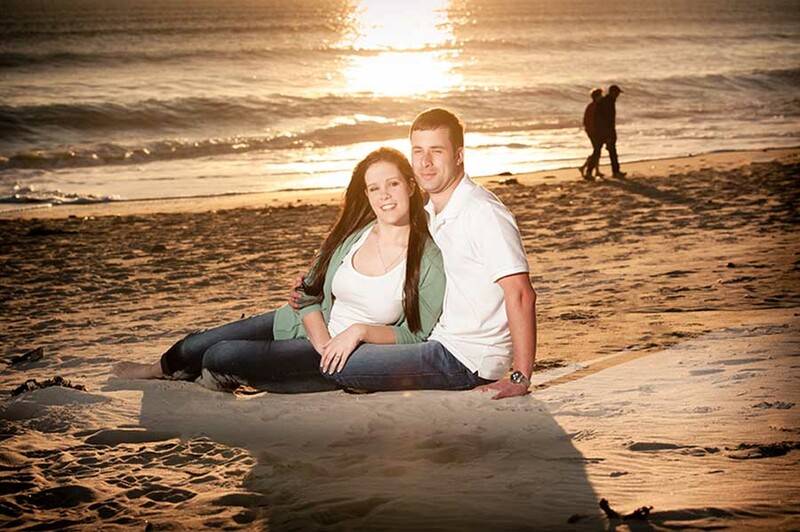 This beach engagement shoot was a great training ground for the main event. We are now very comfortable with each other and ready for the wedding day. It’s going to be a great event!